CHANL, the Chapel Hill Analytical and Nanofabrication Laboratory, was established in 2006 as part of the Institute for Advanced Materials, Nanoscience and Technology. Since then, this instrumentation laboratory has become a part of our department. 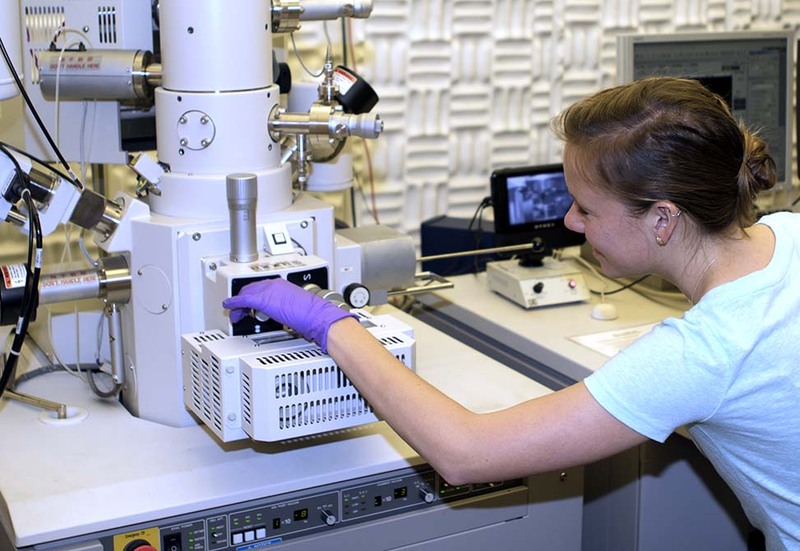 CHANL operates as a shared instrumentation laboratory open to UNC researchers from all departments as well as to researchers from other universities, government labs, and industry. They charge user fees to recover the cost of materials, supplies, and instrumentation maintenance. To provide cost-effective access to analytical and nanofabrication instrumentation that would not otherwise be available in individual research labs. To provide expertise and technical resources, to assist researchers in designing experimental plans, acquiring appropriate data, and interpreting data. To promote education by working closely with students and postdocs to provide instrument training and hands on experience. To foster an environment of collaborative research that extends beyond departmental boundaries.